Good morning, and I’m sorry I never did a real post yesterday. You see, my eye doctor still is (and will continue to be, as he is a friend and helped me research Kit’s eyes for Darkship Thieves — eliciting a delighted cackle when I realized they look like cat eyes — and is in fact a geek who can explain anything vision-related to me) in Colorado Springs, so I went in with Dan on his way to work. Being on that side of the state reminded me there were certain things I simply haven’t found where to buy in Denver yet (mostly groceries, and yes, we’re investigating some places. But I cook like the 1920s, from scratch and there are ingredients/implements that are hard to find.) So we ended up on an extended shopping trip, and then when we got home I had to finish the spring cleaning I had started when I got sick. Okay, the good news is that my eyes are slowly returning to normal, so it’s less thingy in the brainy and more extreme tiredness from unaccustomed vigorous cleaning. How vigorous? Well, I moved furniture, and climbed ladders to clean light fixtures. So. Like that. Bad news? Not many. I find myself in need of guest posts, and as I said before, I think I think you guys sent me some that I lost. For perspective here, for a week or two my hotmail was eating everything sent to it and for a couple of months SELECTIVELY eating some things sent to it. Which means things I saw fleetingly then disappeared. Yes, this has been — mostly — fixed. So, why do I want guest posts? Because I took a week off from everything but the blog, and I find that I’m still “blog tired.” Not burned out precisely, but coming up with a topic is hard (haaaaaaard) and I suspect if I don’t take a break, I am going to burn out. Besides, we’re moving all our websites, which means I’m redesigning them all, and that will take the hour or so a day I give to the blog. So, if any of you have a desperate hankering to see your name in lights at ATH, please send me your stuff. And if you don’t hear back, poke me, as it might have never arrived. Ideally and if you guys don’t mind, I’d like to take a week where I cue the posts ahead of time, and then check back now and then but am not here full time. Meanwhile, what I want to do is write. As in fiction. For five years I was getting increasingly more hypothyroidal, until the writing stopped completely (almost) a couple of years ago, and any writing was an insane amount of effort. Now that the thyroid is more or less balanced again, and indie is a thing, I’d like to make up for lost time. So far I’m running at half of my goals for the year, with 1/2 the books I meant to finish finished. This means in the afternoon I’ll be working for me. Now some of these are for Baen. I need to do Darkship Defiance, Hacking the Storm (Fuse’s book. Yes, yes, you’ll get it when you read Darkship Revenge), and Bowl of Red, the fourth in the Shifter’s series. Of course things have changed. The year I did that, we still had both boys, under the age of 15, in the house, and I was homeschooling the genius, which … never mind. Let’s just say he ate three curricula in three months (they wee supposed to last a year) and then we designed our own which included graduate level work on William Shakespeare. And to keep an eye on him, I was learning Greek and Latin alongside him. Right now we’re settling into semi-demi-empty nest. We have a son technically living with us, but he has his own basement apartment, so we only see him when he runs out of coffee and steals mine. Or when he wishes to talk. It’s rather different. The possibility exists, at least, that I can write as many books for indie as are due at Baen, maybe more. To facilitate this, it would help if some of the work — coff — was already done. A conversation in one of FB’s private groups reminded me I do in fact have a lot of half written books which my then agent didn’t know “how to market.” So I spent part of the day before yesterday going over those. 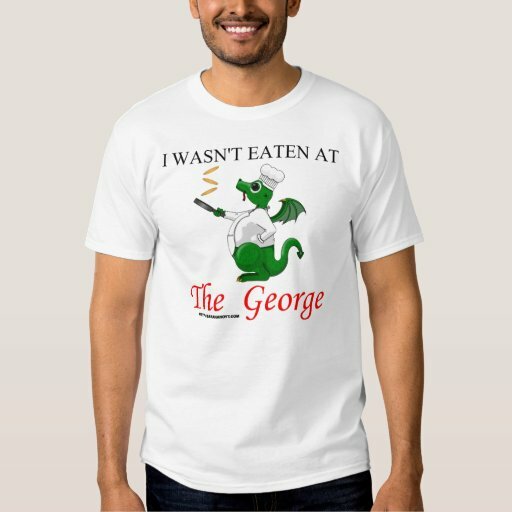 I haven’t forgotten any of the other things, including Dragons (very much haven’t forgotten that.) or the YA way overdue at Wordfire. I’m just listing above the things half-written and therefore needing less time to get to market. Say, the next three four months. The waiting bench for other writing is deep and includes the fictionalized biographies of all of Henry VIII’s queens, (I know, but they sell), the orphan kitten mysteries, and a sort of Agatha Christie pastiche. There is also Dead City which is a classic mystery crossed with a UF with its base in Christian mythos and theology which is rather rare for fantasy (without being in any way what could be called “Christian” as a genre. Most of the roots are in Medieval legends about purgatory and hell.) That’s way at the back, at a slow simmer but I have some notes on worldbuilding. There is also, for my sins, a mil sf trilogy which has no series name yet, but goes Madrasta’s Children, Taking Heaven, Valhalla is for Heroes. Who knows when I’ll get to it? Barring the ability to go away for a month and slam it out, probably not for a couple of years. If I can take a week off from the blog, I promise to return to it fully refreshed, too. Anyway, that’s where we are right now. Somewhere in there there will be a ten day trip to Portugal. We’re going to Liberty con as usual. There will PROBABLY be other trips, though I can’t swear to those yet. Some of them might even be for fun. Lately I’ve come to miss Oregon in fall, with its continuous rain (it reminds me of my childhood, as that’s pretty close to the climate I grew up with) but whether I can convince Dan to take a week or so up there is something else. (Probably not.) If we do, it will be a writing vacation, anyway. So, that’s the state of the writer, for this snowy Spring Saturday. I shall now go have some more coffee and go finish an overdue (natch) short story. The SOS for blog posts is real, but if I don’t get it, I’ll do some blasts from the past. And it’s only a week, honest, and then I’ll be back. If you guys think that will be okay. It’s been… (counts)… 8? years since I took a vacation from the blog, so it’s not like I’m doing this every week. Okay, now I go work. I was hoping to take today off and go to the museum, but I don’t think we want to drive in this. So I’ll work, and take the day off after it thaws. 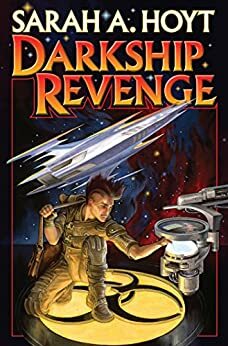 Also, I now have copies of Darkship Revenge, I still have an audiobook of Through Fire to give away, and I have posters of the cover of Darkship Revenge. If you throw your hat in the ring, I’ll put it all in a bowl and have Greebo pick a name. I doubt many of us would mind if you simply shuttered the place, hung up a “Spring Cleaning – Back In Five Days” sign … although there is no guarantee the Huns wouldn’t make some minor rearrangements upgrades of the furnishings while left unattended. After all, the Blog is a sideshow, books are the main event. Yes, books, thank you. Maybe she could just put up, daily, one short sentence long prompt (or have somebody else do it) for discussion and leave the rest to us. (Yikes, I can see comment sections full of stupid puns. And the blog might need some designated guardian for those days too, in case that besides puns we’d get trolls). HEY! Trolls haveta take their own risks, they don’t get guardians for early euthanization. Why would we be humane to trolls? Well… er… I’m sure there are some reasons. I’m taking the liberty of reading this as a veiled solicitation of opinions … so … in my opinion, you should be doing this a couple of times per year, just for self-care and suchlike. So go, enjoy, come back. I enjoy blasts from the past, too, they can be very perspective-lending. I agree with Birthday Girl. I also think you have enough arrogant asses thoughtful fans around here to supply the 12-18 blog posts necessary. You call that nothing? I drool. I can only imagine what you will achieve when healthier. Take your time. The blog is a nice little savory between breakfast and lunch. The books are treasures. 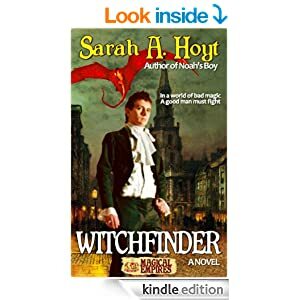 A vote for another Dyce novel? I find that I am becoming addicted to those (which is strange, as I am definitely not a mystery genre reader). But, whenever you are ready. How about a post on dictation for writers? I’ve been meaning to do one anyway. It would be easier if the Muses dictated stories to authors, but that doesn’t happen. I’ve trained my muse to dictate on command. It can be done. But I’m not sure how I did it. My muse seems to belong to a union; I can either do photography or writing, and have to have an interval between the two. I was going to say “mine would be really short: I can’t dictate, because I become self conscious.” But if you’re offering to do one, that’s great. I just dictated it. Transcription should be done by tomorrow evening. What about writers being dictators? I am the absolute dictator of my fictional worlds. I will crush the fictional insurgency once and for all! If you want a blog post from The Phantom, I will be very happy to supply one. Please signify in the usual fashion. I just winced. One of the consolations of my no longer seeing you know the girl friend was that she would have wanted to see “Stomp,” the musical (!?) and it’s playing across the street next week. i don’t even know what that musical is! Some idiot came up with the idea of giving a bunch of drummers a stage and license to rhythm. Enjoyable spectacle except for those suffering headache. Some idiot Brit saw Taiko drumming and it inspired him to hand a bunch of trash cans and lids to would-be London actors and told them to bang-a-gong, get it on. Almost enough to give me a migraine just to think about it. Message received. Although, an e-mail and/or green smoke is usual. ~:D thephantom182 at yahoodotcom. Oh, EMAIL! Never occurred to me. God bless you, restore your health and keep your labors fruitful! Sheesh. I thought I was busy. Off to finish 70 pages of screenwriting by next week. *sighs* Summer can’t come soon enough. I thought I was busy, too … sigh. Delusions of adequacy strike again. Sounds like that “Villains, Antagonists, and History” thing needs to get written and sent in. I haven’t skyped in… um… eight years? Nine? I hear it’s gone from a chat app to a sorta-phone-call thing, but that was after I stopped using it because they changed the interface and made it kludgy enough I gave up. But… riced cauliflower at walmart? So, you don’t have to chop-chop-chop or pull out the food processor? Ooooh, that’s tempting…. Do guest blog posts have to be non-fiction? I’ve had a short story about a used bookstore floating around in my head for a while. And yes, you need rest and relaxation. Re: Christian ghost stuff, there is a great 1950’s compilation from a UK Catholic publisher called Shane Leslie’s Ghost Book. (Some libraries list it as just Ghost Book, by Shane Leslie.) Some really good patristics and medieval as well as modern stuff, and it comes with a Nihil Obstat. St. John Vianney Seminary library in Denver has it….. It costs your soul, of course. The cheap one is $50. Um… I’ll save the name. I’ve bought very expensive books before, but this is not yet up. Anybody have a list of the stories? Chances are I’m familiar with most of them. I don’t know what they do in Lisbon. Being from the North of Portugal, I avoided the place like poison. I found metro Denver surprisingly lacking in grocery shopping variety. There may well be someplace cash and carry that caters to folks who routinely buy odd ball varieties of rice in 50 pound bags but I never found it. Seattle and Atlanta and lots of other places have had quite large and successful stores that combine a year round farmer’s market with odd brands from home for every immigrant community and logically Denver should too but I never found it. Vitamin Cottage and Trader Joes were about as exotic as I ever shopped at. *Boggles* Sheesh, even out here in the sticks we’ve got places with odd kinds of rice-n-such in large bags. Granted, you need to read the language ON the bag to know what you are getting, because the store owners don’t speak that much English, but there are all kinds of Vietnamese, Laotian, Burmese, and various flavors of Latino stores in Amarillo. Heck, my favorite Asian grocery in San Antonio (cunningly disguised as a gas-station mini-mart at 410 and Starcrest) has all sorts of Asian rice, and yogurt – and Wagh Bakri bulk tea. I have been very lucky. My mom has always been a bit of a rice connoisseur. So I have known how to cook a good pot of rice forever. I prefer white basmati rice when I can afford it. Smells heavenly and tastes wonderful. I am fascinated by both method and the idea of fragrant rice. I have learned to cook brown rice to my own satisfaction (…by which I mean I followed the package directions and it turns out the slowest setting on the new stove is perfect for the simmer step) but would like to branch out. I usually just use a rice cooker. Add a mini can of chicken or tuna. and some veggies and you have a nice casserole quickly. Rice is grown in Texas. I’ve bought Texmati rice. So I never have a problem finding it in my local supermarket. Have a large number of Asians in town helps too. We grow rice in Arkansas as well. Delta lowlands are good for that. I like local long grain white rice just fine, but many of the conoisseur-types will only eat the short-grain stuff. I remember reading in one of those old kids’ Amazing Facts books that Texas (at the time) was the largest grower and exporter of rice, beating out China by a lot. I’d believe it. In China, they have fake rice. And fake eggs. And a lot of other fake foods. My husband remembers with amusement my reaction to the local rice grown here in Australia, almost a decade ago. The “What did I just put in my mouth? !” expression was apparently both amusing and evoked sympathy. I still remember eating it – I had something that had the texture of rice, had the mouthfeel of rice, but tasted like absolutely nothing. Cardboard would have had flavour. I felt like I was eating air. I could taste the beef stew we had with it, and the sauce, but there were … bubbles of no flavor interspersed with it. It was doing my head in. Properly fluffy rice is no problem with sticks, but I seldom encounter any. Local culinary customs… you really don’t want to see what they do to rice here. Traditional cooking of any plant matter mostly involves boiling it until it starts to disintegrate. Bleagh. Interesting method. I can see how that would work; I might have to try it sometime. I use the ‘Asian finger-measuring method’, where after washing the rice, shake the whole damp lot as flat as you can, put your middle finger out, and put the tip of your thumb into the middle of the middle joint of the finger. Touch the tip of the middle finger to the top of your rice and add enough water to reach the point where you have your thumbnail pressed to. Cover and cook over lowest heat for fifteen minutes. Notably I’ve discovered this does not work well for electric stovetops or induction, because of their tendency to click on and off, while the usual rice cooking method requires constant heat. Hope you had a good ANZAC day. What about the background-for-Guardian fanfic? Is that going to resume? Has Larry seen it? Does he like it enough to consider promoting it to canon? It is going to resume. Larry hasn’t seen it. When it’s finished, I’ll send it his way. If he wants it, fine. If not, meh. I have not forgotten that I owe you a guest post. As soon as I get some time at my computer, I’ll send it off. And I’ll do it sooner rather than later. The good news is that we’ll have a whole week without adult supervision. The bad news is that she’s upgraded the biometric locks on the liquor closet. /oh right LIQUOR cabinet….back to the drawing board…. And the traps. Oh, the traps, my precious! You call them traps, I call them intelligence tests with consequences. I believe the more scientifically appropriate term is intelligence tests with negative reinforcement. If your tests allow for the subject to learn from their mistakes, the consequences aren’t severe enough. Although the door is locked in a fashion you don’t want to visibly damage, there may be other avenues of entry that were not considered by the key owner. Except that after the fifth time I tunneled in, she put the liquor cabinet in the middle of the main water cistern. You guys read Friday, right? I really wouldn’t fight the security system… that cave is DEEP. That’s what the anti-grav harnesses are for. That, and making normals think they’ve seen Superman. No problem — in a week we’ll have cracked the time tunnel and be able to not only brew but age our own liquor. I’d take a crack at getting my name drawn for an audiobook. Don’t know about a poster, unless I need to fly with my wife to Denver and get advice on what to do for a fun weekend out there to pick the poster up. Cook like the 1920s? You have a wood stove? May I ask why? Lol. No. I mean cooking before ANY convenience foods. I WISH I had a wood oven. Eventually we’ll build a brick one, outside. We had a wood oven when I was a kid. It kept catching fire so we eventually replaced it with a cast-iron one. you’re a bad man. Go to the corner. No books. Little Jock Horner sat in his corner, sharpening his Christmas knife. Its fifteen inch blade, coupled with his outrageously long arms, made him deadly indeed, at six feet five inches and 275 pounds he was no man to trifle with in close quarters. The steel honing rod in his off hand was a deadly weapon all on its own, and only a fool would trouble him. I used to, when we could eat carbs. Guest posts… you know, just thinking on the topic. You’d think the natural topic would be a distant, intellectual treatise on something important, something that doesn’t bring the writer on stage much. It would make sense; not only does the guest poster have more time and brainpower to throw in (they only have to make *one * post) no one reading will know about this particular writer or care about them, so it’s best to do something interesting in its own right. …but then, one of my absolute favorite guest posts here was Nikki Kenyon talking about growing up a Jewish in the Soviet Union. I guess I’m curious to see what people come up with. My baby has an ear infection and my brain is just eaten dead by coming up on the climax of my first. Book. Evar, so I’m not sure if I’ll be able to punch through that. But I’ll try. Having my name up for prior posts was pretty neat, and they seemed to go over well. My baby (older son, 25) is just getting over an ear infection. Both of us have the foreshortened Neanderthal ear canals and probably SHOULD consider tubes, but there it is. 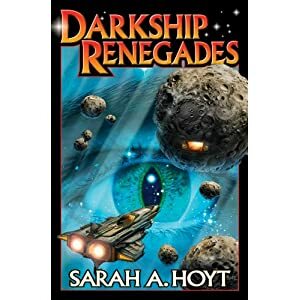 Maybe Sarah could do a retrospective, a Guest Post Greatest Hits, selecting those GPs which generated the most traffic of highest number of comments. I can get rigidly-moderated on-topic posts anywhere. Polite free-for-alls like ATH are much harder to come by. How to strengthen the West? Restore the virtues of work, self-sacrifice, family, etc. Like the old Scouting before the progtards watered the Boy scouts down to gay treehuggers and turned the Girl Scouts into evangelists for Planned Abortionhood. Look at the materials provided to scouts in 1940 and 2017 if you think this is hyperbole. Note: I’m not against people choosing who to bed or marry when they want — after they reach adulthood; but I am against indoctrination of preteens with philosophies they’re not physically, emotionally, or mentally ready to deal with. For those college students clamoring for safe spaces and coloring books, well, that reflects on their parents more than America. Similarly, I’m not against progs aborting their own children; but I do resent being forced to pay for it. Margaret Sanger being such an ardent supporter of the poor and immigrants being euthanized, I applaud those who support her dream as being brave enough to self-identify as members of that ilk. Oh, agreed with all of the above. You might want to look into the advances in robotics the Japanese have made. Chobits as a future is a possibility, in my opinion. Apropos of nothing, Amarillo and the towns north and west area a beautiful example of why you want string, healthy trees that have been trimmed of weak limbs by someone who know trees. I got to hear that “wonderful” sound of blowing transformers several times last night, and the neighbors have, oh, half-a-tree now in their front yard. 4″ of heavy snow with a 50 MPH wind as chaser. Do you have power TX? We have it at Redquarters. The older neighborhood (with all the old brittle trees, natch) is in the dark. I heard transformers popping from when I got home last night until when I finally got to sleep around 0130, with one more for a chaser around 0930. To the north, the Oklahoma Panhandle is pretty much without power, as is part of Southwest Kansas. The linemen can’t get to the problems until the 70+mph winds die down and the roads are reopened. But thanks be to Deity that it’s not tornadoes. Had power at home, though, so it’s all good. We used to have “Arkansas Power & Light.” Years back it rebranded itself as “Entergy”, shut down all their business offices, and apparently ceased all maintenance like tree trimming, etc. on their rights-of-way. Now they’re repair-only, and we’ve had multiple week-long power outages, which is why the Project House has a generator. AP&L used to *aggressively* keep their rights-of-way clear of trees. It still looks odd to see trees grown up all through the power lines. “…trees grown up all THROUGH the power lines” (emphasis added)????!!! Please tell me that’s hyperbole. Our local electric co-op is good about keeping the trees trimmed; they hire contractors for it, and our lights go out in the area during storms, some, if the storms are bad enough. A tree went down across the lines when Hurricane Matthew came through down the road. Uh, no. I’m completely serious. They won’t do anything about trees in their power lines unless they actually pull the wires off the pole. No tree service will trim them back either, because they’re in AP&L’s right-of-way and off-limits to anyone but their own people. I’ve *very carefully* cut the neighbors’ trees out of my feeder line more than once, which probably makes me guilty of half a dozen misdemeanor crimes. This makes me glad I live in Dallas. The worst we had was a nasty sounding thunderstorm and chilly temps (AM 50’s) which rose to 80 by noon. I’ve got a couple of things which might be worth plugging into a blank spot. 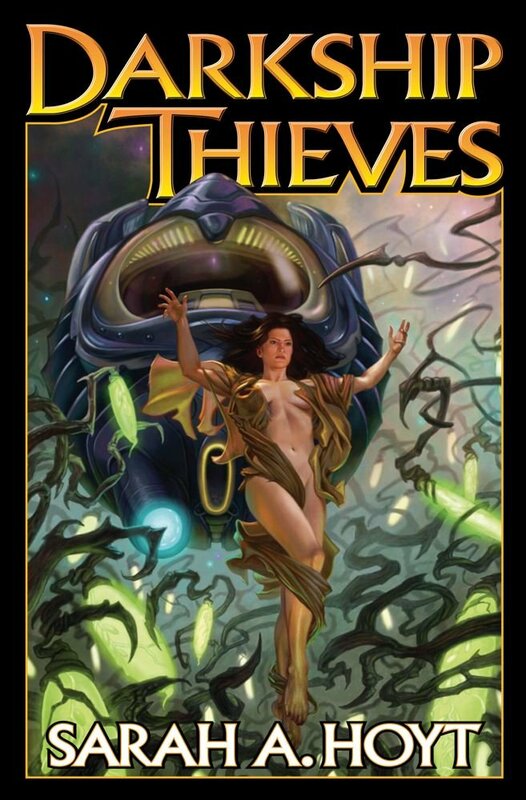 Off the top of my head, I’ve got a fantasy world building article related to creating thieves guilds, a bit on premodern mindsets that might need a bit of work before I send it your way, and fair bit of flash fiction mostly created to establish the tone for RPG campaigns (but a humor piece or two as well, because sometimes you read the headlines and you just gotta). Let me know if any of that sounds interesting, and shoot me an addy to send it to. I prefer not to run fiction, unless it’s by authors promoting their work. The others sound interesting. I find I have a suspicion that guilds — whether of thieves or others — are among those things about which people imagine they know far more than they actually do. Anybody with a significant working knowledge of guild operations and structure might prove able to provide a welcome monograph on the subject. 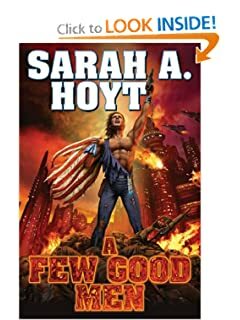 Is the guest post addy still scifihoyt? yep at the mail of gravity. I’m still a bit unclear what goes after the “at” sign. But Captcha claims I’m not a robot! Pinkyswear! No sweat. I was just trying to get a feel for the parameters. I’ll see how much effort it will take to knock the second one into shape.